If you follow our blog, your will find we do like collecting and showing different lamp/light designs. You can find our previous collection here and here. 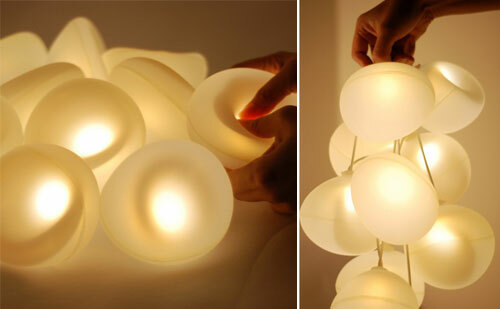 And today we will bring you another 11 Cool and Unusual Lamp Designs. Hope you like them. 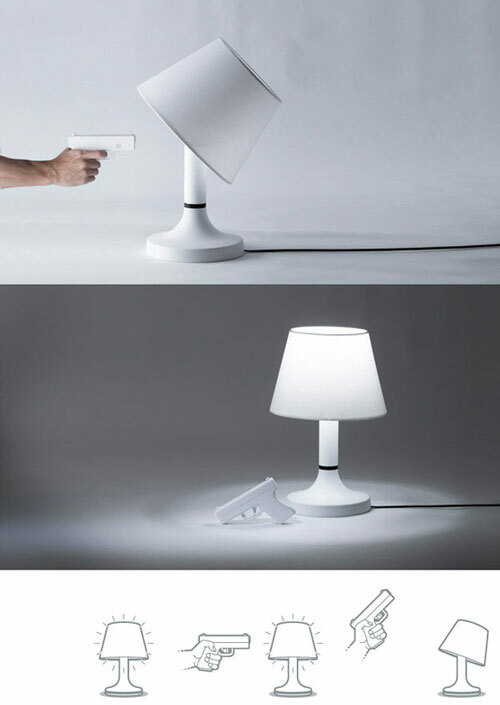 The whole lamp is based on a simple design similar to the arms of the umbrella. But it has a flexible arms that are submitting a form shaped like a ball. The entire form is inspired by the eastern culture, including lanterns and parasols. Because of the used material lamp gives a warm light, creating a cosy and peaceful atmosphere. Lamp gently blends into the environment and becomes pleasant and useful part of the house. 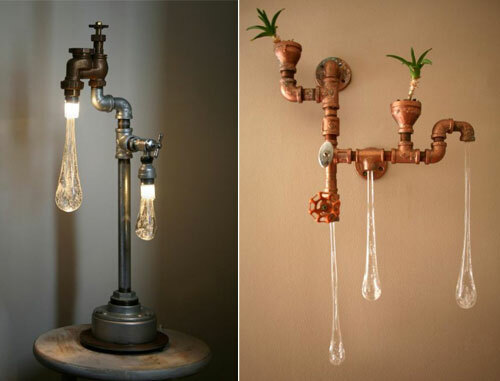 Perfect for anyone who likes the industrial look, these liquid lights by Tanya Clarke are a nice fusion of art and functionality. They’re a series of custom-built fixtures that create a visual reminder of the precious commodity that water is and our need to protect this natural resource. Made from recycled plumbing and hardware and illuminated with LEDs, 5% of all their sales goes towards the education and action of global water justice issues. Beautiful and meaningful. Sometimes I really consider myself to be a fusspot when it comes to stress relief. I find squeezing stress balls too childish and the juggling of those Zen balls is best left to monks. One thing that has taken my fancy is lights and the unique odd ways in which I can use it to my advantage. 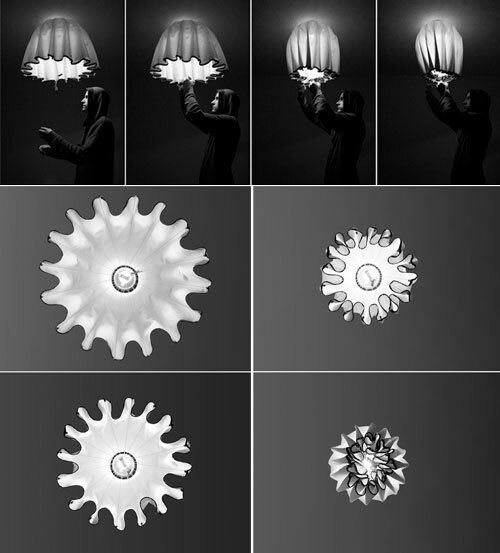 Diana Lin’s d°light Bubbles looks dandy enough on their own, but I totally dig the interactive aspect. The bunch just beckons you to come over and give them a delightful squeeze. They even give out a ‘whoo’ sound at every pinch; sweet silicone bubble LEDs. A beautiful piece even when not lit, Blocco comes to life as a soft glow in the iconic shape of a lamp. 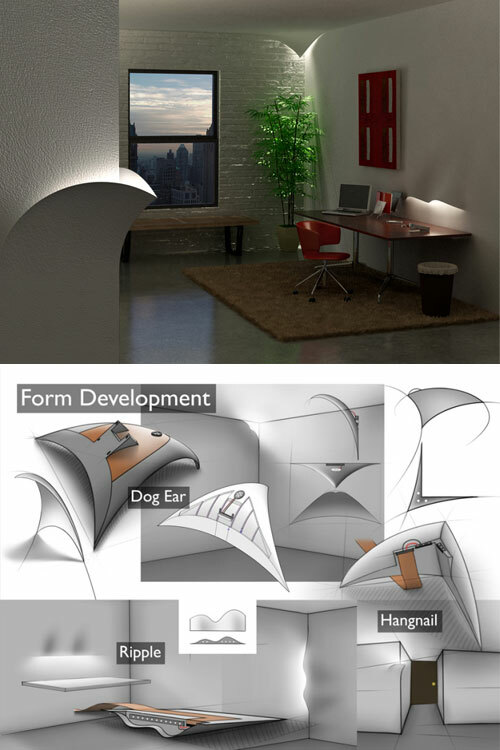 Using warm white LEDs, a soft indirect light seems to emanate from the lamp’s center, creating a “lamp within a lamp”. 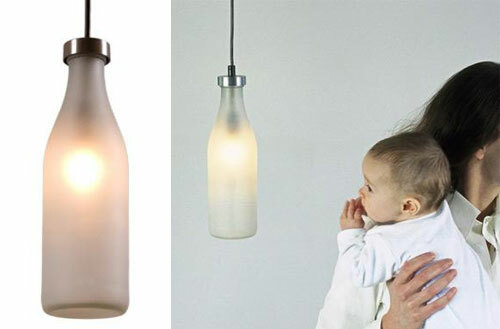 The Milk Bottle Lamp evokes memories of the past. Milk bottles were a thing of the past – until now! You can bring back the good old days with this lamp. This lamp´s lighting will enchant your home with a nostalgic feeling, provide a warm, milky light and a puristic and modern look at the same time. People usually have a fascinations for the way cranes work. 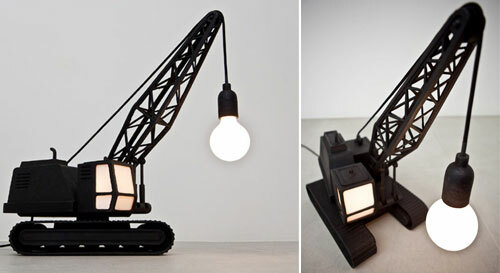 The artists at Studio Job took this idea further and created two floor-standing bronze lamps, one resembling a wrecking ball and the other- a crane. Pretty impressive in height (1,63 meters), the designs are highly original and look pretty lifelike. But we have no idea if any similar versions were launched on the market yet. Have you ever had the feeling that somebody is watching you? 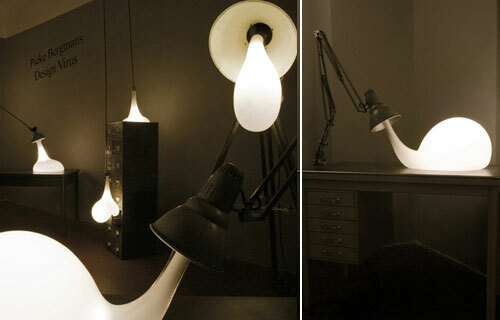 Well, you can definitely get that feeling with these lamps by a French Design Group called 5.5 Designers. These designers are into object cloning which to no one’s surprise was inspired by medical cloning technology. 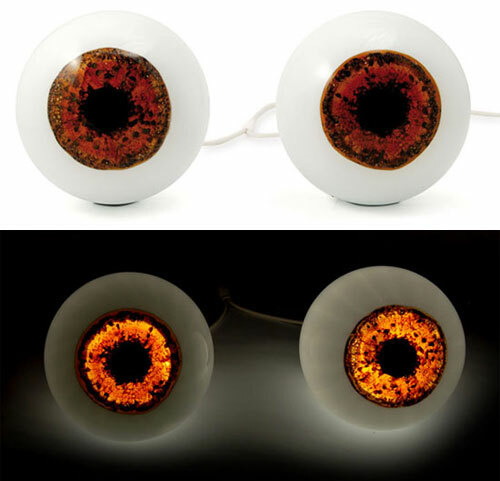 They offer a custom lamp service where they make eyeball lamps based on YOUR eyes. Yes, they clone your eyes! Or to put it in medical terms, you become the “donor”. Bang! Light out! BANG! Let you do just that: shoot the lights out. Your fire a gun at the lamp to turn it off. The light goes out and the lampshade knocks to the side, showing that it’s been hit. Plera pendant lamp was designed by Enrico Zanolla and Andrea Di FIlippo from DZstudio and comes with a highly original look and an uncommon association of materials. 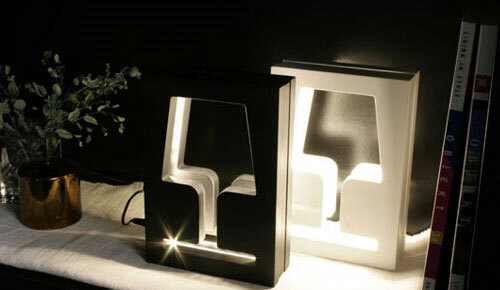 The lamp is available in four different colors (white, yellow. red and black) and has a stylish appearance, suited for a contemporary interior. The wood-porcelain combination is not only of great aesthetic effect, but also makes the lamp adaptable to various decor arrangements. Actually, this below one is not a lamp, it is a special Bulbs. These bulbs spill like ooze from their power sources onto surfaces, clearly victims of a lighting pandemic. 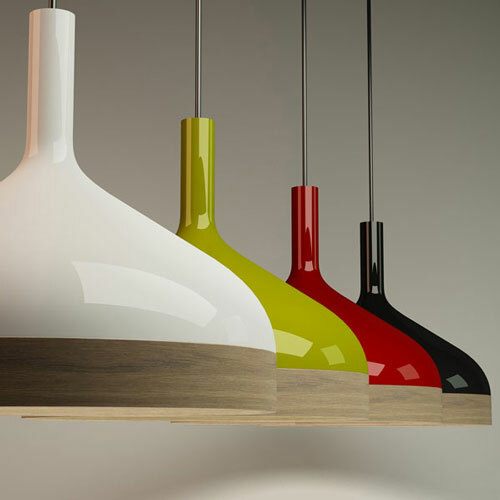 The bulbs themselves are glass-blown to fit certain surfaces and contain LED lights within. Like with an infection, the older the product the more susceptible it is: old and tired lamps surrendering their bulbs to gravity. A desk lamp giving up on life, its last gasp forming the bulb. Just imagine, several of these lights, creatively placed, may be an interesting accent for an outdoor garden as well!